Whilst I was on the support team at WordCamp London 2017 contributor day, I came across a post on the ‘Requests and Feedback’ forum pointing out that the passwords generated for new users and on password reset are not memorable and an alternative scheme was suggested. 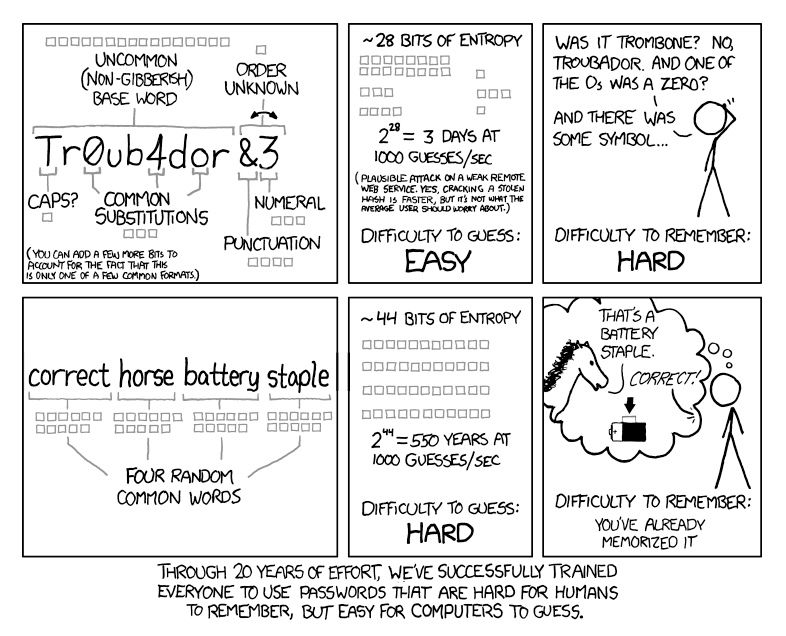 I remembered the XKCD comic 936 by Randall Munro about password strength and thought that a plugin to generate passwords based on the idea presented in the comic would be a good solutution to the provide users with strong but memorable passwords. There was no existing plugin to implement this password scheme in place of the default WordPress password generator so I made a simple plugin to achieve this and posted the code as a reply in the forum topic.